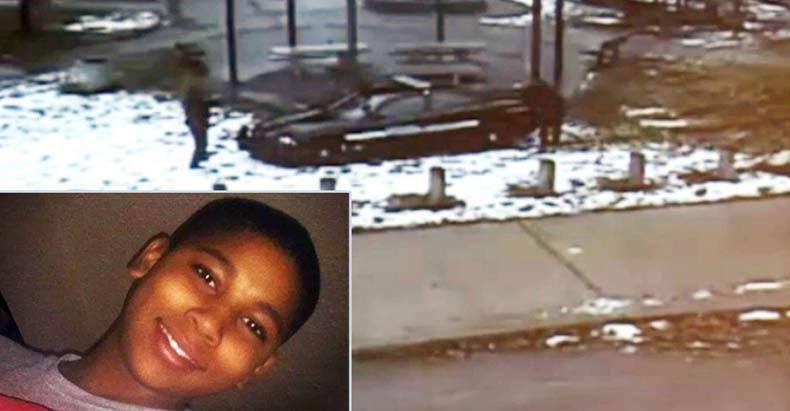 Tamir Rice, the 12-year-old killed by police in Cleveland, Ohio last November, was “directly and proximately” responsible for his own shooting death, argue the city’s lawyers in response to a civil lawsuit filed by the boy’s family. Rice was killed while playing in a park with a toy gun, which Cleveland police officer Timothy Loehmann claimed he mistook as a real weapon when he shot the boy. The lawsuit—filed in December and amended in January—charges that the city of Cleveland—including Loehmann and his partner, officer Frank Garmback—as well as 100 other unnamed 911 operators, police officers, and city employees violated the family’s civil rights in the November 22 shooting. The city’s defense, filed in U.S. district court on Friday, lists (pdf) 20 defenses in total, including a claim that Rice failed to “exercise due care to avoid injury” in the incident and that some of Rice’s family members, particularly his mother and 14-year-old sister, Tajai, are responsible for any damages done to themselves during the incident. Rice’s shooting death fueled ongoing protests in the U.S. against police militarization and racial profiling in the wake of the police killings of Michael Brown, Eric Garner, and other unarmed black men and women around the country. Video footage of Rice’s shooting in Cuddell Recreational Center shows Loehmann firing at Tamir within seconds of arriving at the scene. Following the shooting, the footage shows that neither Loehmann nor Garmback move to administer first aid to the boy as he lies bleeding in the snow. According to the suit, when Rice’s mother Samaria arrived, officers gave her the option of going to the hospital with Tamir or staying with her handcuffed daughter in the squad car. “I do believe that a 12-year-old child died unnecessarily at the hands of Cleveland police officers and I do believe that certain officers shouldn’t have been entitled to wear the uniform,” Walter Madison, one of the attorneys representing the Rice family, said last week. The lawsuit also accuses the city of using a current investigation by the Cuyahoga County Sheriff’s Office into the shooting as an excuse to withhold evidence. In its defense document, the city maintained—as it has in the past—that the force did not know of Loehmann’s background when he was hired. It also said it could not respond to the suit in full because of the Cuyahoga County probe and denied that it was using that investigation to cover up information about the shooting.